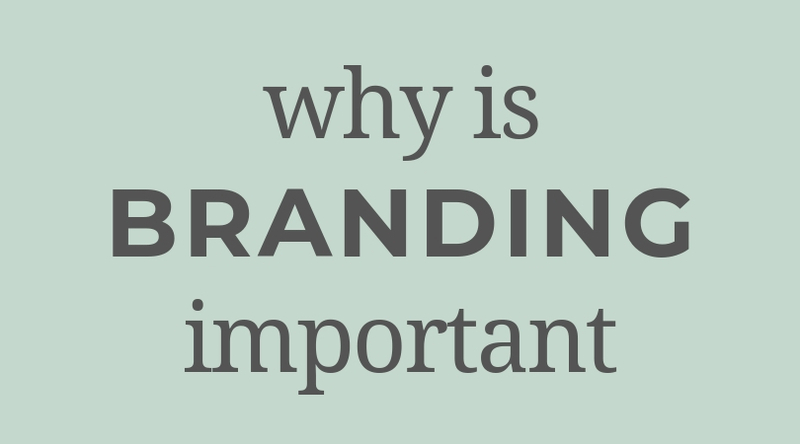 Home » Blog » Design » Branding » What is branding? What is branding? Why is it important for your business? 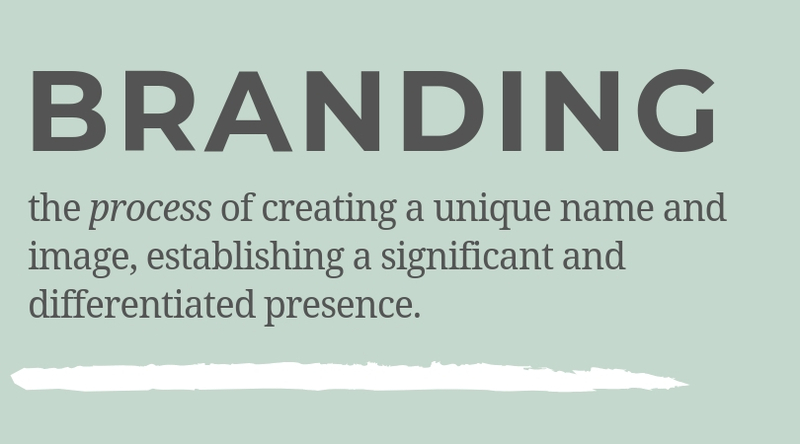 The specific definition of branding is the process of creating a unique name and image, establishing a significant and differentiated presence. 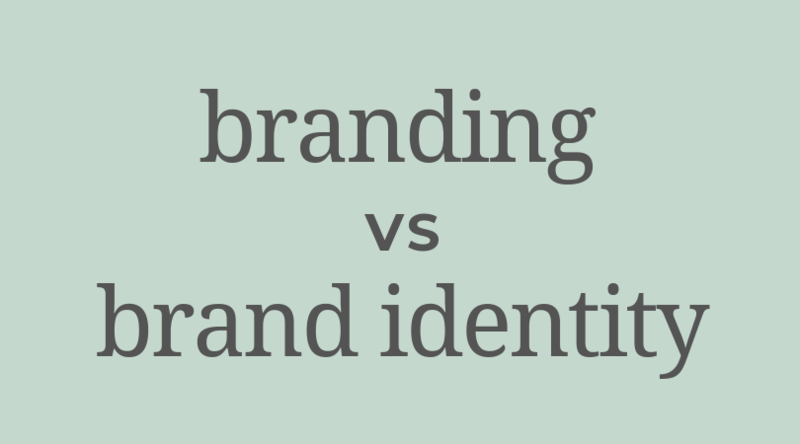 Notice that the definition of branding is not a logo or simply the visual representation of a brand. It is so much more than the visual brand mark (logo) for your business. We often think of larger companies when we think of recognizable brands. But every business is promoting their unique name and image, whether they realize it or not. Without proper branding, you may be doing your business a disservice by being all over the place with your visual branding and messaging. Think about how many companies or people you follow on any given social media platform. We all have been trapped in the scrolling game, not really even looking at or for anything in particular. But what happens when you recognize a photo style, a color scheme, or even a profile photo from someone you want to tune into? It stops you in your tracks. All of these things are a part of the brand that a business has, whether it’s intentional or not. Women started an average of 1,821 new businesses per day, according to a recent report by American Express. With that many new businesses forming daily (not counting the businesses started by men AND the existing businesses already out there), that creates a lot of potential noise. 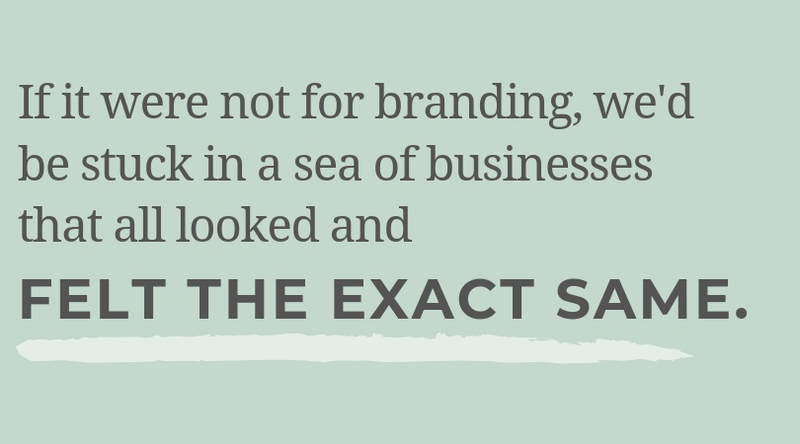 If it were not for branding, we’d be stuck in a sea of businesses that all looked and felt the exact same. Thankfully, branding gives us a way to distinguish our businesses that are just as unique as each of us is. Even if two businesses had the exact same logo (a premade logo design for example), their branding would still be different because of the many parts of a business that go into branding. An example I’ve heard in reading other branding articles is Target’s effective branding. When watching a commercial for Target, you don’t need to see the logo to recognize their bold, colorful brand style. You’ve learned to recognize Target’s style without needing to see their logo or even Bullseye, their iconic dog mascot. Branding will build that recognition for your people overtime, too. That’s why it’s so important to have consistent branding as early as possible as a business so that you are not risking losing that recognition down the road if you pivot your visual identity. With all of the competing content out there on social platforms, having consistent branding can be the difference between someone scrolling past your post and clicking to your website. People are looking for the brands that they know, like and trust. Those are going to be the posts they click through to. Those brands are going to be the one they come to when they need something (like a recipe for dinner tonight). With strategic, beautiful branding in place, you won’t have to consider how you need to design something if you decide to launch a new product or if you’re just creating social media graphics for your site. With brand identity in place already, you’ll have colors, fonts, and a brand style that you can rely on as you move forward and build more components of your brand. Without branding, you run the risk of needing to reinvent the wheel every.single.time. when you need any graphics for your brand. And I’m guessing, if you aren’t a graphic designer, that process is just as frustrating as it was the last time! In the design world, there is a lot of talk about the difference between these two very different, but interworking things. The short answer is no. They are not the same, but one is a part of the other! And they are both vital to your business. Branding (as mentioned before) is the process of establishing a unique presence. Branding will encompass many things beyond just the design portion of a logo, branding suite, and website design. Branding also contains your voice as the head of the business, the mission statement of a business, your client experience, your workflows and processes, and so much more. Brand identity is going to be the physical (or I suppose digital in the online business world) design elements of your business – the logo, the website, the branded social media graphics. The brand identity is a (huge) part of branding, but the designs alone are not all that branding is. Well, it is not ALL about you. For a lot of entrepreneurs, our brand is ourselves, so it becomes difficult to separate the two and think through our business branding apart from our own tastes and interests. But when you’re branding your business, it’s not only just about YOU as the head of the business, it’s also (and more importantly) about WHO your business is for. I have a client who’s target market is millennial moms, though she herself is not in the millennial age range. If she only paid attention to her personal taste and used that as the core of her brand, what is the likelihood that she would attract her ideal audience? It would be pretty up in the air whether or not it would connect with her audience. But if she focuses on her target market first and then allows her face, voice and likeness to be a part of the brand (rather than the whole) then she has a well-rounded brand that attracts her ideal audience but is also something she can be a part of since it is, of course, her business. Remember that branding is MUCH more than just visuals or designs. Just to name a few…the point is that SO much goes into your brand and a lot of the work I do with my clients has absolutely nothing to do with the color palette or fonts used in the logo. But the work we do together builds the foundation for all of those other things to come! There is a lot of behind the scenes work that happens (and should happen!) before a single color is chosen for a logo or website design. You remove the strategy behind a brand design when you only think about the visual representation of a brand. If you design a logo without consideration of the heart, mission, and values of a brand, you’re just painting a pretty picture. This is why premade logo designs or low investment branding packages are often a quick fix that will result in needing a more refined logo down the road. Branding is the process of creating a unique name and image, establishing a significant and differentiated presence. 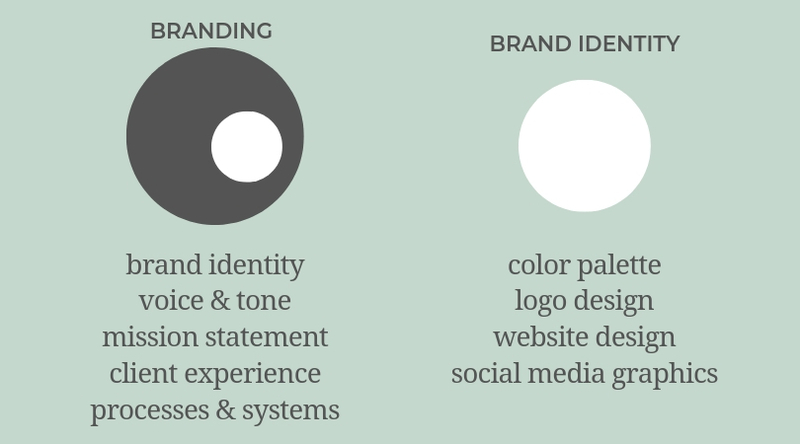 It is MORE than just a logo or visual identity, but those are huge components. Branding distinguishes your brand and builds trust. 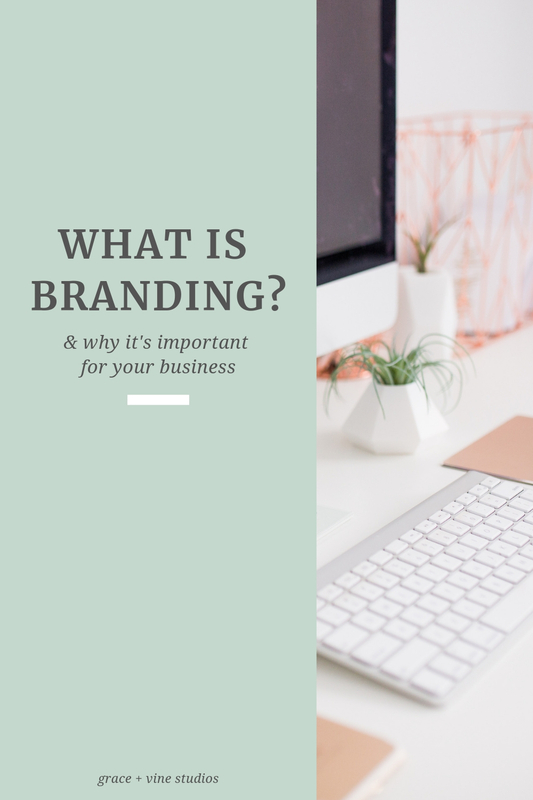 How has branding been important in building your business? If you’re interested in working together on your brand identity or website design, get in touch! I’d love to connect. Great post Madison! I can attest that working on brand identity (with you!) has been a great start in moving in the right direction towards the goal of overall Branding for O.H. Answering questions, working on tasks together, and defining purpose has already shown improvements in engagement on my social media platforms. I’m excited to see how far we can go together! Thanks for all your help!